Anfield is set to play host to it's first UEFA Champions League semi final in a decade shortly with AS Roma standing between Liverpool and an 8th appearance in the final. 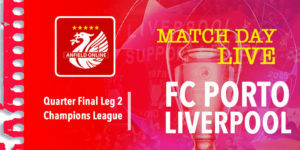 It is the 10th time that Liverpool have been in the semi final of the European Cup - and on 7 of the previous 9 occasions we made it through to the final. 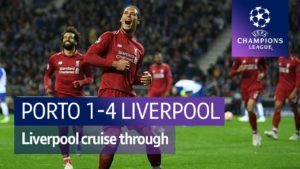 But Roma constructed a superb 2nd leg comeback against Barcelona to knock out one of the tournament favourites and will fancy their chances of getting revenge for Liverpool's 1984 victory over Roma at their own stadium. Newly crowned PFA Player of the Year, Mo Salah, faces his former club and will be looking to add to his stunning 41 goals in a Liverpool shirt this season. Follow our match updates below. The reds make the expected five changes to the side. Liverpool: Karius, Alexander-Arnold, Lovren, Van Dijk, Robertson, Milner, Henderson, Oxlade-Chamberlain, Mane, Salah, Firmino. 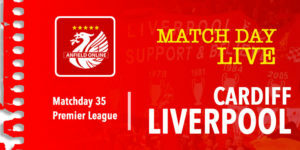 Subs: Mignolet, Clyne, Wijnaldum, Klavan, Moreno, Ings, Solanke. TEAM NEWS | ???? | Here it is, our starting line-up for tonight’s @ChampionsLeague semi-final clash against @LFC! DAJE! ???? Edin Dzeko has scored 20 goals for Roma in all competitions this season, but they have some handy goalscorers throughout the team up front and in midfield - with the likes of Perotti and Cengiz Ünder with 7 goals to their name. The arrival of the team buses passed by without incident. The fans, sadly for the home team, couldn't get as close to the coaches as there were road closures in place on Anfield Road. However thousands of fans were there in the wet weather to welcome the reds back to Anfield. We know how we want to play the game but there are eleven players on the other side. You need to have answers - you need to learn from the game. We don't think about the result at the moment - we think about the performance.
.@DesKellyBTS: "The good news is, it won't be a dry pitch tonight!" The Quarter Finals. Roma suffered a 4-1 first leg defeat against Barcelona at the Nou Camp. Not helped in large part due to both captain De Rossi and Manolas scoring own goals to give Barcelona 2-0 lead. Dzeko did score Roma's only game of the goal. But then back in Rome, Dzeko opened the scoring before both De Rossi and Manolas scored at the right end to give Roma a 3-0 win, and through on away goals. That's how they got here. Will Liverpool stop them going any further. The teams are out on the Anfield pitch and You'll Never Walk Alone is being belted out. We're pretty positive Liverpool supporters but even we didn't expect us to reach a Champions League semi-final this season. Wonderful achievement even reaching this stage. The players have shaken hands. Karius takes one final touch of the ball, Henderson and De Rossi swap pennants and Liverpool are kicking towards the Anfield Road in this first half. Roma enjoying some decent early possession and Strootman fires one that Karius has to save on his line. And Mo Salah gives Allisson Becker a tester cutting in from the right. Both keepers making saves inside 3 minutes. 6' Firmino with a chance - too tight an angle and he drills the ball right across the face of the goal. 8' Drilled shot by Oxlade-Chamberlain - found some space after good work by Firmino. But there wasn't enough power behind it and it was low and easily collected. 13' Milner puts Alexander-Arnold under pressure. Waves to tell him to pass back to Karius but Trent pings a ball down the wing and it finds Salah. But Salah drags it out of touch for a Roma throw. At the other end a cross comes in but Karius comes out to claim before it reaches Dzeko. .. not looking good. Wijnaldum is going to come on. Gini Wijnaldum on for Oxlade-Chamberlain. He comes on just as the reds face a corner. 19' Ball comes out to Kolarov who has space and smashes the shot against the crossbar! 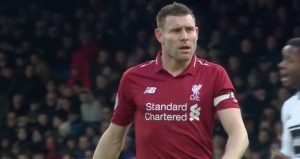 22' There's an 'ooh' from the Anfield crowd - Dzeko with the ball at the edge of the area and Lovren takes a nervous swipe which luckily misses the player. Roma on top mid-way through the half. I don't know a vast amount about tactics, but I'd say that Daniele De Rossi being able to pick the ball up from his defence, turn and pick a pass is something Liverpool need to stop. 26' Mo Salah being forced out wide on the right hand side. First yellow card of the game to Juan Jesus for a foul on Sadio Mane. Liverpool stuck at the edge of the area. Firmino eventually floats a cross in but the big Roma keeper comes out to collect with ease. Great ball by Firmino - sends it through to Mane who backheels it - he's one on one but he smashes it over the crossbar. What a chance for LFC. 30' And another great cut back from Firmino - and Mane spoons that one badly wide. Two superb chances for Liverpool wasted there. 30' Liverpool making inroads. Mo Salah shot is palmed away by Becker. 31' It's another Liverpool corner. 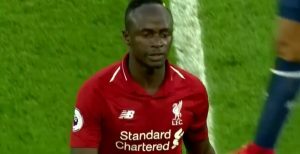 34' Mane puts the ball in the net but he's miles offside. 35' Ambitious shot from Firmino who sends a curler that Becker saves. Liverpool on the front foot now. Holy sh*t - what an unbelievable goal from Mo Salah. Wonderful goal. Took his time and smashed a shot into the top left hand corner. 39' Alexander-Arnold goes into the book for a foul. Anfield is rocking now. 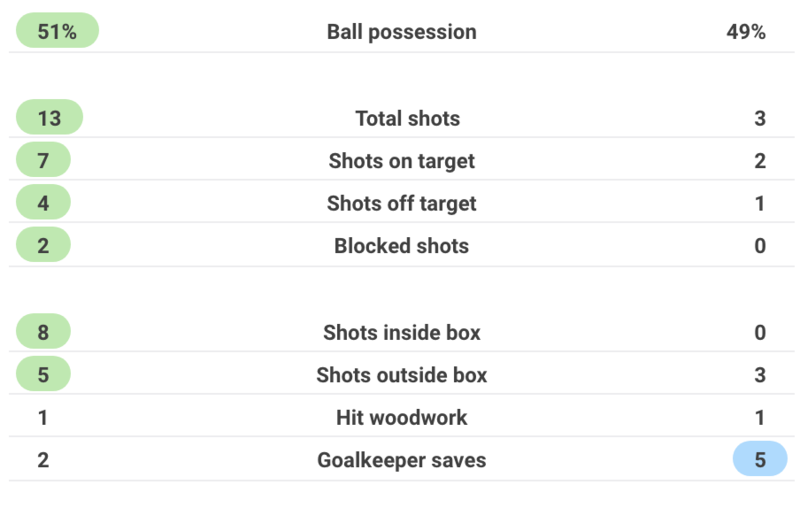 Been a dominant 20 minutes by Liverpool. And Mane is through but it's a good tackle by De Rossi. 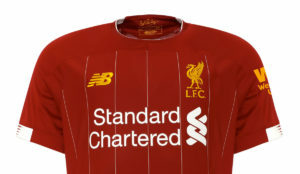 .. big looping corner from Salah - Lovren at the back post trying to head it back but it's straight to Allison Becker. Firmino bides his time, wonderfully timed flick forward and it's on to Mo Salah who lifts it over the keeper with ease. Sadio Mane could have had a hat-trick - Mo Salah makes it 2-0. Wonderful second half of that first half! We're underway. Roma have made a substitution at half time with Cengiz Under off and Patrick Schick on. 47' Free kick just outside the area for Liverpool. 50' Reds back at it - forcing a corner. De Rossi heads another cross away for Roma. 56' Liverpool running the show. Salah in acres of space. He passes neatly and Sadio Mane smashes it in. 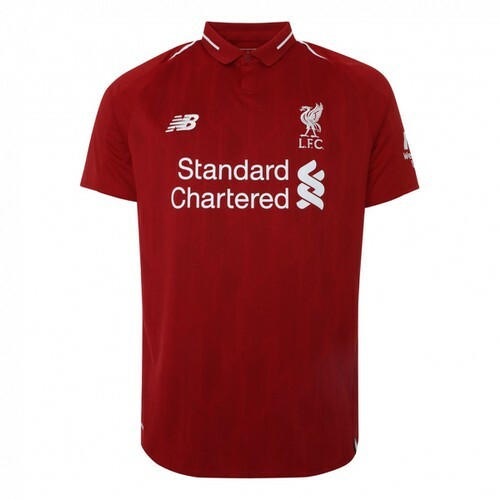 62' Bobby Firmino is at the back post to tuck it away. Reds running riot. 68' De Rossi and Juan Jesus off for Roma. Gonolans and Perotti on. Corner for the reds, and Firmino is there to put it away. Mind boggles that we couldn't beat Everton or West Brom in 4 Premier League games. Few players extra in this squad and wow. 72' Lovren with a loose pass away and it rebounds off Patrick Shick just wide of the goal. This is a stroll in the park for Liverpool. 73' Another chance for Schick - but Loris Karius is down low to stop that header from giving away an away goal. 74' Dejan Lovren handed a yellow card for an untidy challenge. 75' Salah goes off to a standing ovation. Danny Ings comes on. 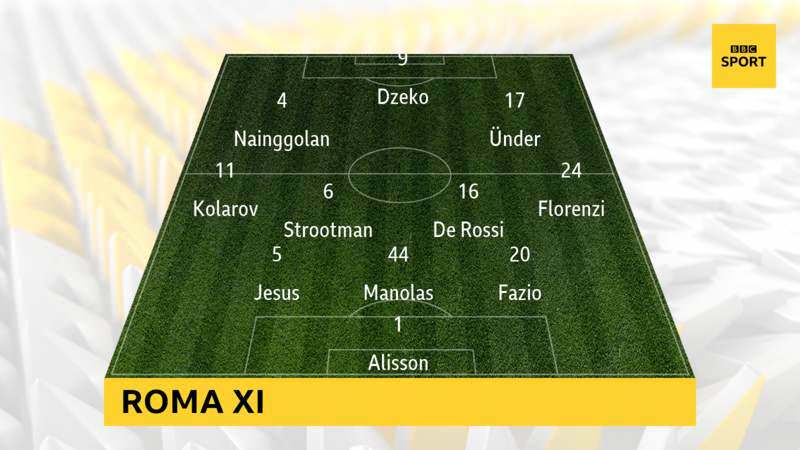 Kevin Strootman struggling for Roma but they've used all of their subs. 81' Dzeko gets one back. Nainggolan with the cross - Lovren mistimes his header and Dzeko fires in from a tight angle. Will that be a remotely pivotal away goal. 85' to Roma. Milner handball. 85' Perotti smashes in the penalty to narrow the scoreline to 5-2. Liverpool have just gone to sleep in these final 10 minutes and conceded twice. Karius gets down low to prevent a cross deep into the area. Weird atmosphere now even though the reds are 5-2 up. 90+2 Roberto Firmino heads off and on comes Ragnar Klavan. Wonderfully dominant performance from Liverpool who were undone by a couple of goals late on due to a Dzeko strike and a penalty. Salah with two, Mane with one and Bobby Firmino with another two. We counted our Chickens before the hatched. KEEP SALAH TILL THE END!!!! We crumbled when he left. Big step forward for the reds in reaching the final but this tie isn't over yet. Rome in a weeks time. We'll have more reaction on Anfield Online shortly.